After breakfast in the hotel, we will start our first visit to Angkor Complex: Angkor Thom, the fortified city of Angkor Thom covers an area of 10 square km. Enter by the monumental South Gate over a causeway lined on either side by statues of demons and gods, each carrying a giant naga. 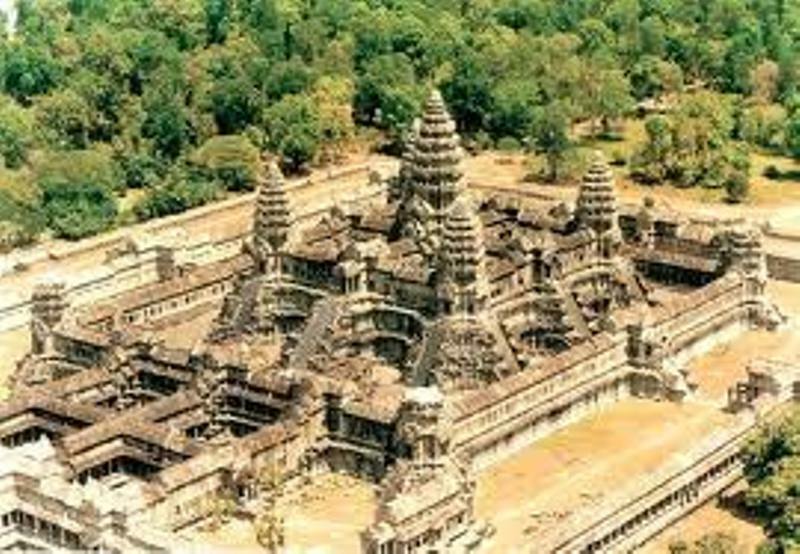 We well stop at the famous Bayon temple and continue to the Terrace of the Elephants and the terrace of the Leper Kings, then to Ta Phrom - It has been controversially left to the destructive power of the jungle by French archaeologists to demonstrate the awesome power of nature. Lunch in local restaurant. Transfer to airport for flight to Phnom Penh. Upon arrival, met by professional tour guide and transferred for tour. We will visit to Royal Palace and Silver Pagoda: the Royal Palace compound build in 1866 by the Predecessors of King Norodom, is the most conspicuous feature and also one of impressive colorful Khmer-style Palaces. Nearside the Royal Palace is Silver Pagoda (The Emerald Buddha temple). Then we continue to National Museum – Built around a central courtyard, the galleries, arranged chronologically, present a collection of Khmer art, mostly sculptures. Lunch in local restaurant. In the afternoon we visit to Toul Sleng was a high school, When the Khmer Rouge came to power it was converted into the S-21 prison. And continue to Wat Phnom: the birthplace of the capital. Then visit to Russian Market, a labyrinth of stalls selling everything from CDs and DVDs to silks, crafts, jewelry and more. Overnight in Phnom Penh.